Speed up or slow down a video by dragging the slide easily. There are many free video effects including transitions, PIP, texts, elements, green screen, split screen, etc. You can edit video with basic video editing tools and advanced video editing tools. Slow motion videos are best way to record videos on a particular occasion such as fireworks, videos of your dog and any other incident which looks perfect in the very slow mode. These videos are actually slower than the original real time happening of that occasion. Thanks to the latest iPhone and iOS version, Apple will let you record the slow motion videos right from the camera application of iPhone and the best part is that you can record videos either in 120 FPS or 240 FPS making the end video way beautiful than the real time happening of that occasion. However, there are certain applications in the App Store which will let you do the same task with even more options. This article will give you in-depth details of how you can record slow motion videos on iPhone 6S using the Slo-mo feature and a sneak pear about best 5 applications to record slow motion videos on iPhone 6S. Step 1. Open camera application either from the Lock screen or Home Screen. Natively, the camera application is set on “Photo” mode. Step 2. You can swipe right twice to change the “photo” mode to “Slo-mo” which will let you record the slow motion videos. Here are very few options. You can toggle the flash light in camera or can change the FPS, Click on “120 FPS” in the right corner to change it to the “240 FPS”, once you have set the settings, hit the “Record” button in the middle to start the slow motion videos. Step 3. You can tap on the same button to finish the recording process. Step 4. Once the recording is finished, a thumbnail will be shown in the bottom left corner, tap on it to watch the slow motion video that you have recorded on your iPhone 6S. 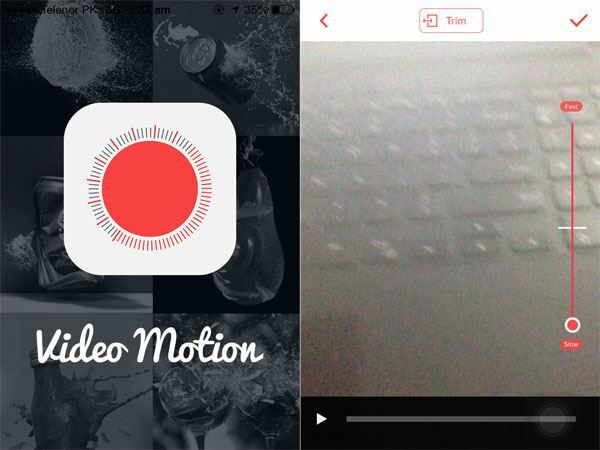 The simplest yet the most amazing application to record slow motion videos on iPhone 6S is the Videomotion. 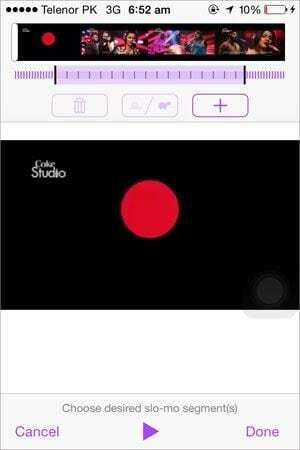 This application will record the videos in the normal mode however, you can edit the video in the very next step. The best part about the Videomotion is that the speed of a video can instantly be changed between the slow motion and time lapse, so, a part of video will be in slow motion while the next part will be pretty much faster. 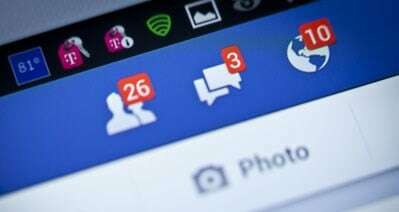 Moreover, it also lets you change the aspect ratio between 1:1 and 4:3 during the recording process and there is a trim and direct sharing feature available in the application to share on different social networks such as Facebook or Instagram or it can be emailed directly to a friend. 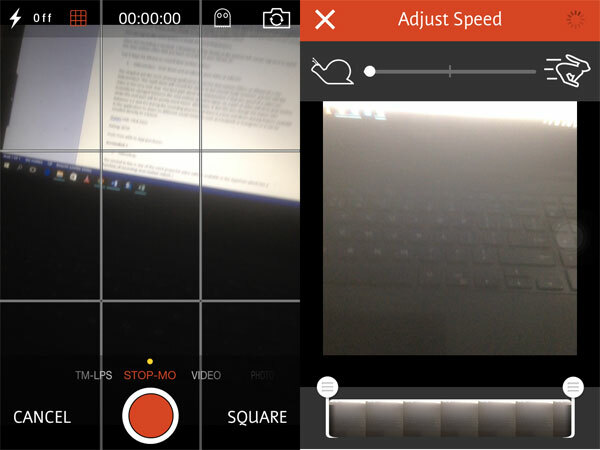 The second in line is one of the most powerful video editors available in the App Store which has a function of recording slow motion videos. 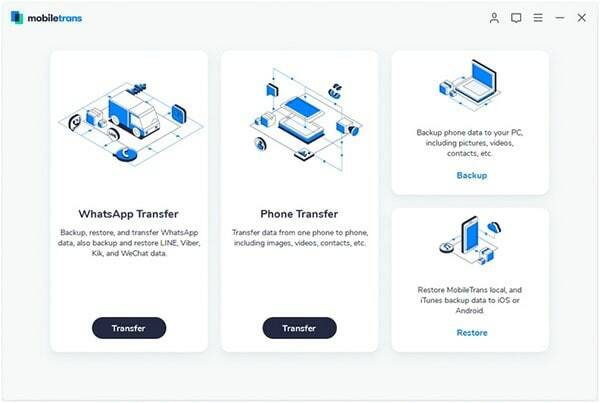 Just like Videomotion, the video will be recorded in the normal video, however, you can change the speed of the video in the editing mode to get the best result for a slow motion video. 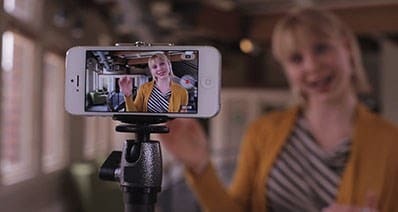 During recording of the video, it also provides you some extra features such as changing the aspect ratio and enabling the grid lines which will help you record the videos in the best angle. Apart from recording videos, it also has a rich editor which will let you add text, music, change transitions and much more. 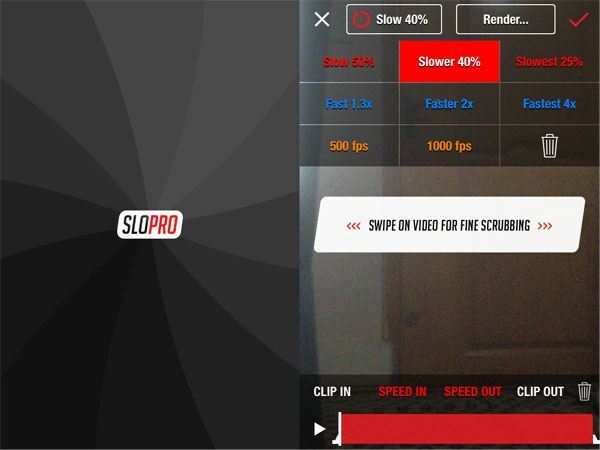 SloPro is a perfect app to record slow motion videos on iPhone, it provides amazing features and the best one is recording videos in 1000 FPS, using this feature the video will be slowed so much that even a normal 2 second will result in one minute and 23 seconds. Moreover, you can select from different modes such as slow videos up to 50%, 40% or 25% of the original speed of the video. Moreover, the amazing 500 FPS and 1000 FPS is the unique feature which none of the slow motion video recording app have, after changing the video speed, you will have to render the video to get the best result of video. Moreover, there is a “Feed” feature which will allow you to watch amazing slow motion videos from users of SloPro. Speed pro will not let you record a new clip, however, you can change the speed of any clip from already present videos on your iPhone. So, a video can be recorded in normal mode on iPhone and it can be edited using the speed pro, the distinguished feature of this app is that it will let you change the speed of different portions of the video. So, a portion can be recorded in slow motion while the other part will be high speed. 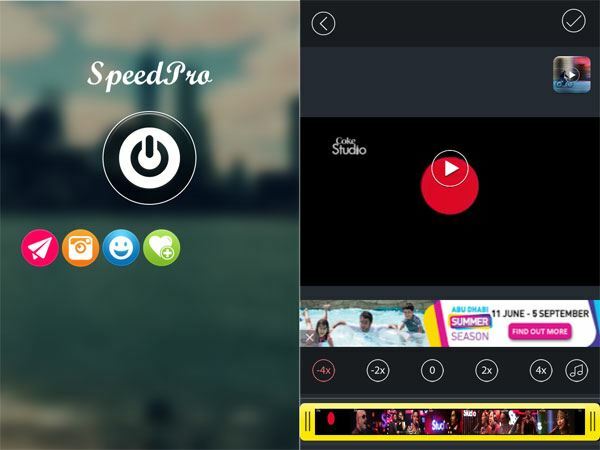 Moreover, Speed Pro can reduce the speed of your video up to two to four times, another noticeable feature is that you can add background music to the video in the app. Last but not the least, it is absolutely free of cost. With a clean and minimalistic user-interface, TruSloMo will let you change the speed of the video without ruining the amazing high quality of your video. 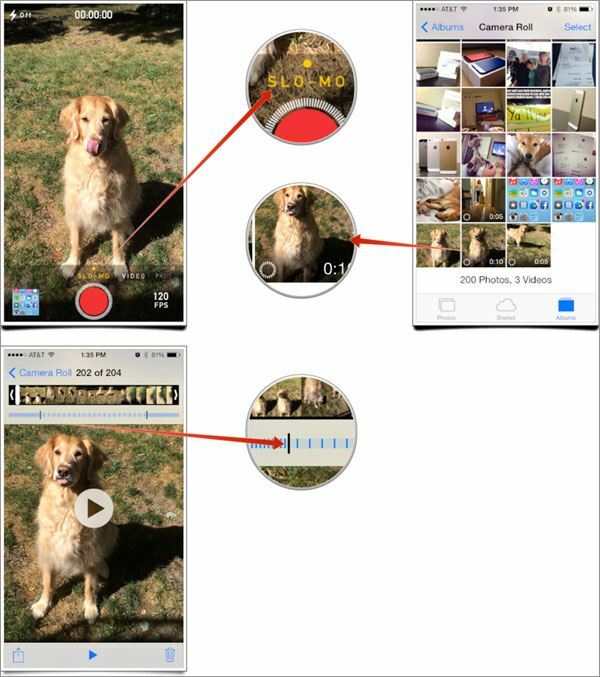 It works perfectly for any video present in the photo library of your iPhone. Another perfect thing about this app is that every feature is present right on the app and you don’t have to look for complex features, everything is present right on the application. You can also make slow motion to different parts of a certain video.